We all know that pure water keep us away from numerous diseases, we supply RO water purifier products across the country. From the beginning of our journey, we are focusing on customer satisfaction. We have great customer satisfaction record & our goal is provide supreme quality product along with excellent RO system service support. Our team of experts includes Engineers, Technicians, Quality Controllers, Warehouse and Packaging professionals, putting utmost efforts to achieve organizational goals. 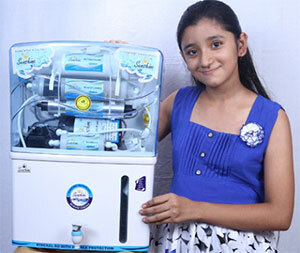 SUNSHINE RO Water Purifier uses Advance and state-of-the-art Technology to provide 100% Pure, Clean, Safe & Healthy Drinking Water for you and your family. Its Multi Stage Purification removes dissolved impurities and maintains minerals. SUNSHINE is a leading BRAND in R.O. System and Water Purifier. We are also confident about your satisfaction with its performance and it will serve you healthy, safe, pure & clean drinking water without any troubles. The mechanism of purification process will provide you purified high quality of water comparative to the other national/international brands.